Caregiver's Guide to Dementia: Using Activities and Other Strategies to Prevent, Reduce, and Manage Behavioral Symptoms: The groundbreaking, research based book for the management of dementia-related behaviors through the use of activities by Dr. Laura Gitlin and Dr. Catherine Verrier Piersol OTR/L. Addresses a multitude of behaviors, such as wandering, agitation, hoarding, aggressiveness, and socially inappropriate acts. Large piece puzzles: MindStart puzzles are successful for people with dementia due to the more simplified images and large-piece design. No struggles or frustration of traditional puzzles which have many pieces that look the same (i.e. trees, animals fur, endless sky or water). 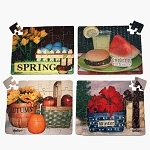 Includes your choice of 2 of our large piece puzzle options (choose 2 from 12 or 24 piece puzzles). Easy Word Search set: MindStart word searches have less complexity and are focused on familiar themes. Includes 40 puzzles at four levels of difficulty, to allow use for people at various stages of dementia. Photocopying allowed within one facility, to allow re-use. Look and Lace: The repetitive nature of lacing activities is especially good for patients who are lower functioning. 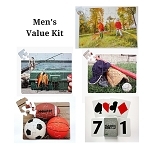 Includes alternate option to use cards as small group conversation starters. MindStart products are designed by an occupational therapist to help people at all stages of dementia to use the skills they have at the time and stay mentally active. They are simpler, adult-oriented, and offer a challenge at the right level. 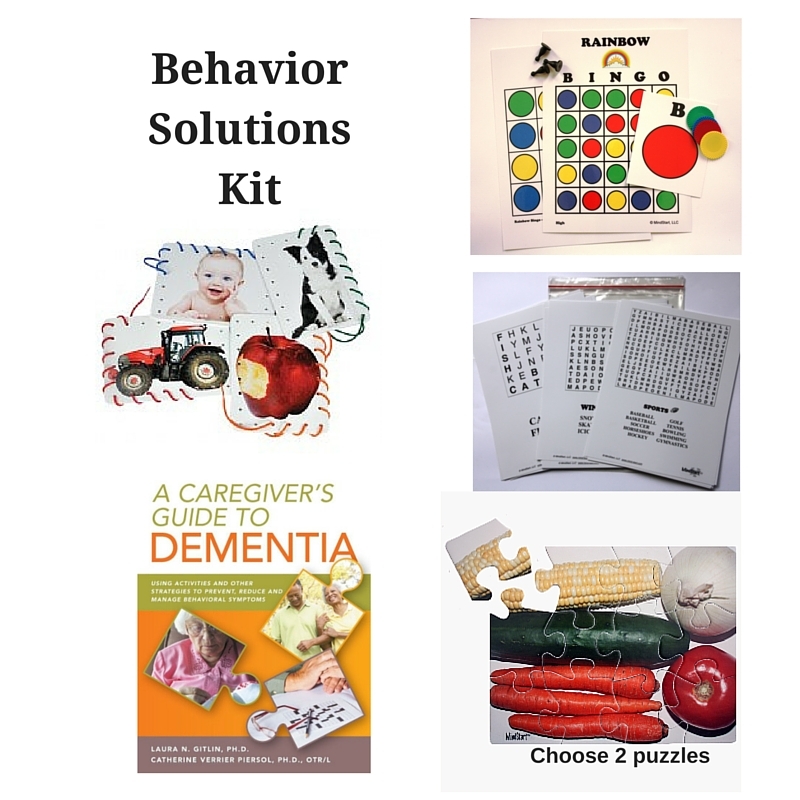 This kit is a great support of person-centered care approaches and non-pharmacological approaches to behaviors. "Using activities that are tailored to the interests and abilities of persons with dementia may have a positive impact, minimizing behavioral symptoms and improving quality of life. MindStart products are of high quality, are created from a person-centered perspective and are informed by theory and the best evidence. 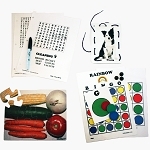 It is difficult to find appropriate activity products for persons with dementia and which are graded along the disease trajectory such as those created by MindStart." - Dr. Laura Gitlin, co-author of the Caregiver's Guide to Dementia and Director/ Professor at the Center for Innovative Care in Aging, Johns Hopkins University.